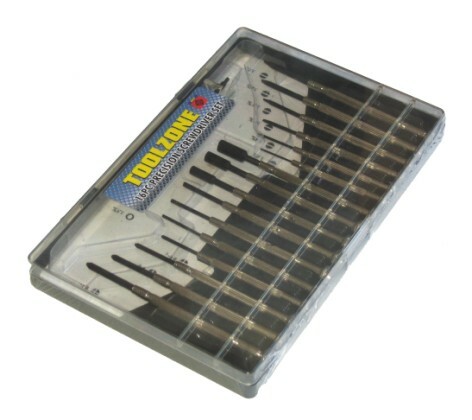 Set of 11 precision screwdrivers in a handy plastic storage box from Toolzone Tools. 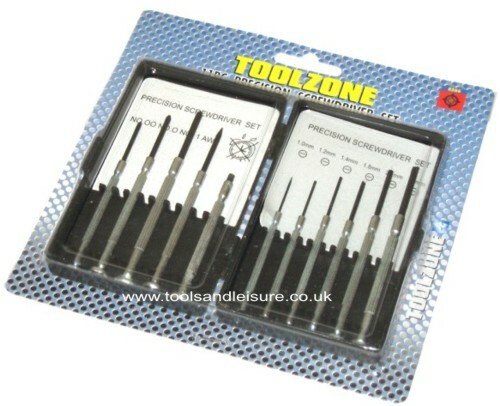 The set includes: Pozi NO.00, NO.0, NO.1, AWL, slotted 1.0mm, 1.2mm, 1.4mm, 1.8mm, 2.4mm and 3.0mm. 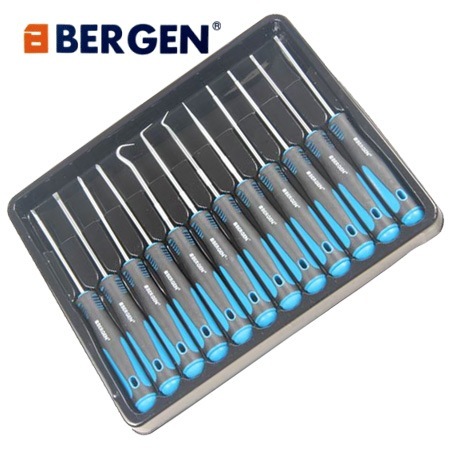 These precision screwdrivers are Ideal for small intricate work such as repairing spectacles.